Equipment choices sometimes seem to be based more on adherence to convention and established practice than objective analysis. This certainly seems to be the case when it comes to the selection of a mixer to produce dough for burger buns. This business is growing world-wide; but there is still a lingering feeling that to produce a proper bun, practices developed decades ago have to be used. That is simply not true. 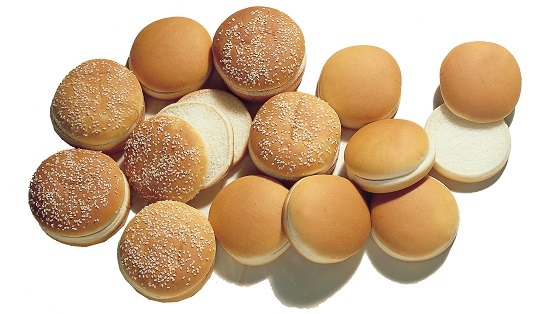 Well-known chains around the world have used our high-speed Tweedy™ systems for many years to mix dough for buns, but still there are some who stick to the belief that high-speed mixing cannot produce a good burger bun. High-speed mixing uses exactly the same process as any other mixer – it just does it more quickly. The development phase involves breaking and reforming bonds between protein molecules in order to form a gluten matrix which gives dough its structure. That is the same in every type of mixer. The rate of gluten development is optimised for throughput and quality in the Tweedy™ mixer by controlling the rate of energy input to a value that is specific to the flour being used and the product being made. The design of the beater and bowl combine to mix and develop the dough using a 3D action that works the whole batch in all directions simultaneously. Distributing the effort throughout the dough in this way is what enables mixing times to be reduced. Optimising dough structure in the Tweedy™ mixer involves the use of pressure and vacuum, sequentially, in the mixing cycle. This maximises gluten development and gives precise control over the size of bubbles in the dough to refine the crumb structure and create the exact texture needed in the baked product - not just for burger buns, but for a wide product variety. Because the mixing process is rapid and batch sizes small, the dough is passed through the divider to the prover while it is fresh and before fermentation can begin, ensuring product consistency. All these advantages can be verified on your own production line. 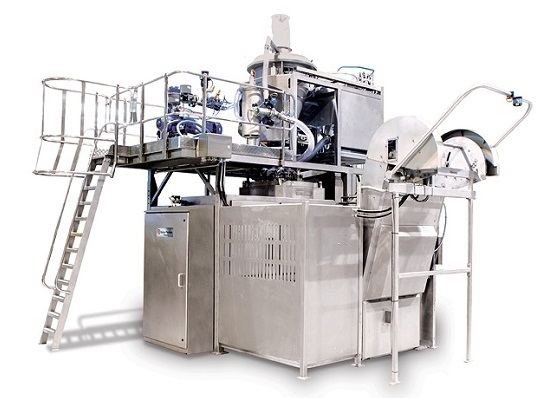 A pilot scale Tweedy™ mixer, accompanied by a Baker Perkins food technologist, can be sent anywhere in the world for trials with your own ingredients and recipes. Once it is accepted that the Tweedy™ mixer does nothing different, it just does the job faster, any purchase criteria seems to me overwhelmingly in favour of the Tweedy™ process. It offers fully automatic feed and discharge, recipe management without operator intervention, and a comprehensive automatic control system. Equipment for the automatic addition of liquid sponge process can easily be installed. Hygiene and maintenance are much simpler – a wash-in-place system for the bowl and lid is much more thorough and rapid than manual cleaning. So if you want better control of your process, higher efficiency, faster cleaning times and improved food safety, don’t just slavishly follow convention next time you need a mixer: the alternatives might be better.